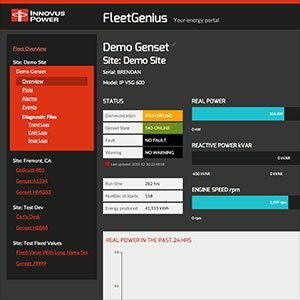 Innovus Power needed an API-driven web application for users to monitor energy production by Innovus’ variable-speed generators. Lead Engineer Brendan Taylor brought in Carl Irving to develop the API and software architecture and myself to create and code the interface. The resulting app was a home run. Unfortunately, the production site is only available to subscribers. Michael's sense of design and knowledge of modern web site standards were extremely valuable to the development of FleetGenius. He's very adept at extracting user requirements, wishes and desires and turning them into something that works well from a UX perspective. In other words, herding the cats. Partisan is accepting work from existing clients only for Fall, 2019.